The special operation group of Torrevieja’s local police, El Grupo de Refuerzo Operativo (G.R.O. ), have had a busy summer dealing with a variety of interventions from forgeries to possession. The unit, which operates as a unique and dedicated team, have planned and executed a total of 17 special operations, in addition to their routine duties, including dealing with illegal street vending resulting in 12 detainees for crimes against industrial property with a total of 11,047 counterfeit items seized, which would have a street value of 220,860 euro on the black market. These products will be destroyed in the upcoming weeks. In addition, the G.R.O. conducted 24 traffic and security verification points, resulting in a total of 7 arrests, 48 ​recorded offences for possession or consumption of banned substances, and almost a 100 other individual offences, with a total of 39 people arrested by the group for crimes related to documentary falsehood, hatred, industrial and intellectual property, vehicle thefts, road safety, threats with weapons, gender violence and attempted homicide as well as a pirate taxi operating in the area. 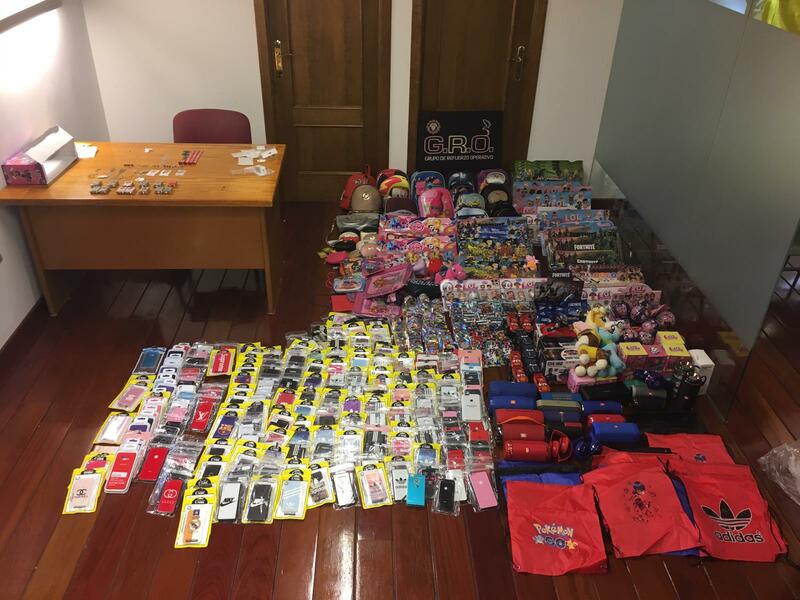 In addition, the group collaborated directly with the Guardia Civil in the investigation, location and subsequent arrest of a driver who was driving at 230 kilometres per hour. The group also collaborated with Civil Protection of Torrevieja, Guardia Civil, fire service, courts, and other units of the Local Police of Torrevieja, and with the University of Murcia, given that a student of the Degree in Criminology, the first of its promotion with diploma, invested 80 hours of work in which he verified and accompanied the Group in a multitude of services. The experience was qualified by the inspector Juan Carlos García, responsible for the G.R.O., as “incredible to have been a reciprocal teaching experience”.